The New England Association for College Admission Counseling dedicates its highest annual award to the memory of Harry Rowland Carroll (1924-1982), a man who honorably served the University of New Hampshire and Colby College for twenty-five years. With a sense of fair play and good humor, Harry Carroll provided leadership, guidance, and wise counsel to colleagues in New England and throughout the United States. His standards of excellence, his dedication to fair and impartial work on behalf of students, and his commitment to the ethical standards of the admission profession set a high mark for those who follow. The Harry R. Carroll Distinguished Service Award recognizes college admission counseling professionals whose contributions and achievements merit special recognition and whose work reflects the spirit and principles of this dedicated man. 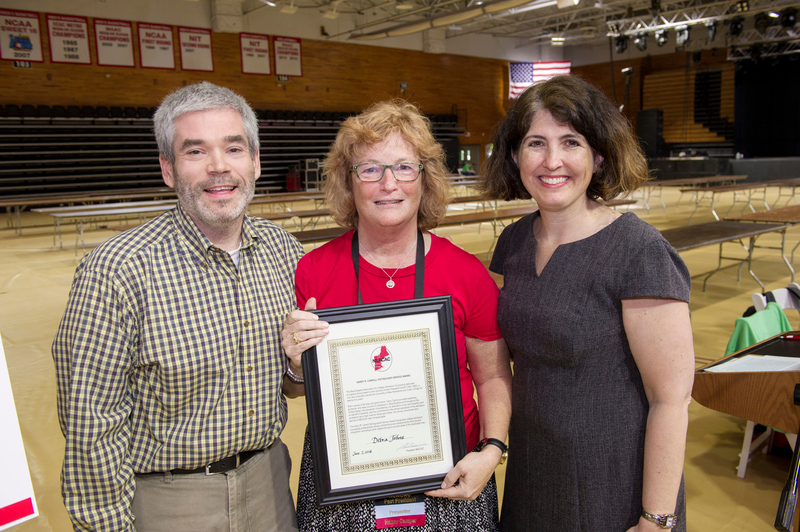 The 2018 recipient was Debra Johns from Yale University, New Haven, CT. She was presented the award at the Super Conference at Marist College in Poughkeepsie, NY in June 2018. Previous Recipients of the Harry R. Carroll Award are listed here.